After the provocation made by the Assad forces, the Israeli Air Force retaliated with air attack. 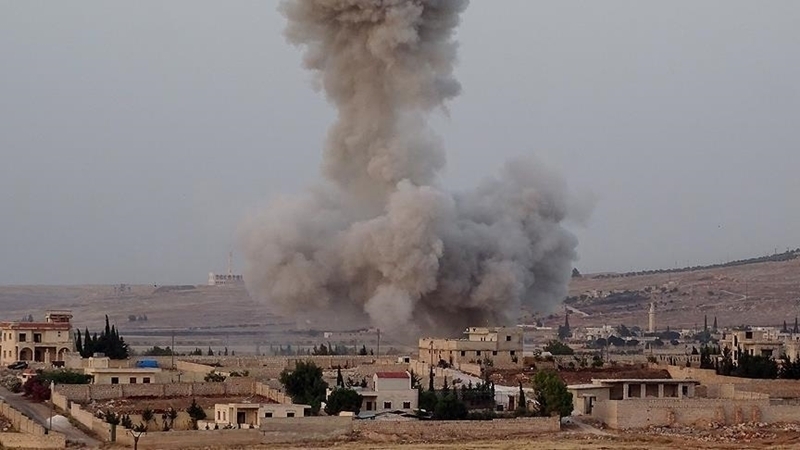 The Israeli Air Force aircraft launched airstrikes against the military base of the Bashar Assad regime in response to missile that had flew from this base and fell in the Golan Heights, the Israeli army reported. As follows from the report, no one was injured from the missile landing. The Israeli army has attacked Syria in response to artillery and rocket shelling four times during the past week. Israel claims that from time to time missiles from Syria and Golan Heights fell in Israel from the beginning of the war in Syria in 2011. Israel hits back at the Hezbollah and Bashar Assad regime positions, but the Israeli government usually refrains from officially confirming the attacks. Reportedly, on June 18 the US-led coalition shot down the Syrian government army fighter jet in Rasaf village, located 30 km south of Rakka. The Syrian authorities note that their fighter jet was involved in the operation against the militants of the "Islamic state" that time. After the incident the Russian Defense Ministry reported on the termination since June 19 of cooperation with the United States within the Memorandum on the prevention of incidents in the sky over Syria. 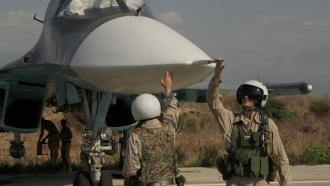 The department said that Russia would perceive as targets any air facilities in the areas of combat missions of the Russian Air Force in the sky of Syria.